Yesterday I took photos of the Duke men’s basketball team for the first time. The Blue Devils beat Central Missouri 87-47 in their last preseason exhibition game. I was asked to bring my computer to send a few pictures to The Chronicle’s sport editor in the half time. 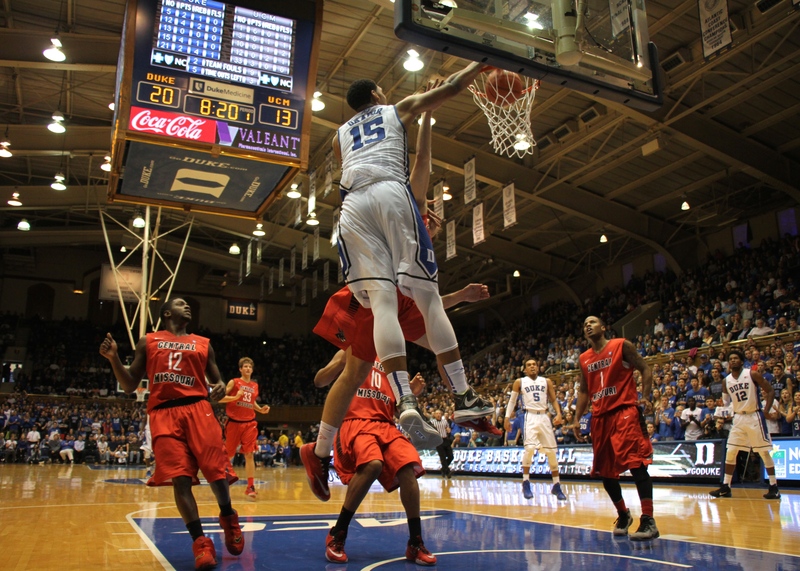 So I sent a medium close-up of Justise Winslow, a long shot of Quinn Cook -who was my student in the Spanish course I taught this summer at Duke-, and this shot of Jahlil Okafor dunking.